They’re here! As fans of college football, we’ve been practicing for months. Saturday after Saturday has been spent watching with attention, in stadiums, parking lots, bars, and living rooms, all in preparation for the next 48 hours. Watching football on Thursday and Friday is the right way to start your 2016, whatever your resolutions are. Want to lose weight? You’ll be motivated to go to the gym after seeing dominant athletic performances. Want to find more time to do things that you love? You’ll have plenty of practice by filling your days with football. Less stress? Find a comfy couch and unwind with a drink and a snack. More stress? Have a serious interest in who wins each game. For they are sure to be the exciting, quality matchups that we’ve been training to watch since September. Rejoice! The New Year’s Six have arrived. Looking at the history of Group of 5 teams in a BCS/New Year’s Six bowl gives an interesting picture. They’ve won twelve times in the last eleven years (two wins in 2006, one loss and one win in 2012). Six different teams account for these wins and four have since moved to a Power 5 conference. History is on Houston’s side. It’s difficult to call FSU’s Dalvin Cook underrated, but with so much talk on other running backs like Henry, Fournette, McCaffery and Elliott, Cook tends to fly under the radar. But he is the only one of the five to rank in the top ten in yards, yards per attempt, and touchdowns this season. He had seven games with at least 100 yards and 2 touchdowns. Houston are listed as a touchdown underdog, but this could be a game that the Seminoles are overconfident in. After all, they easily beat the last Group of 5 school they faced in a bowl game (Northern Illinois, 2012). But this Houston team has been better than NIU, and against better opponents. The recent dismissal of three tigers after a failed drug test, including the WR Deon Cain who is tied for 2nd-most touchdown receptions on the team, has put a disappointing spin on the waning hours up to the first playoff game of the season. Dabo Swinney’s pizza party was a humble reward for the only perfect season in college football. 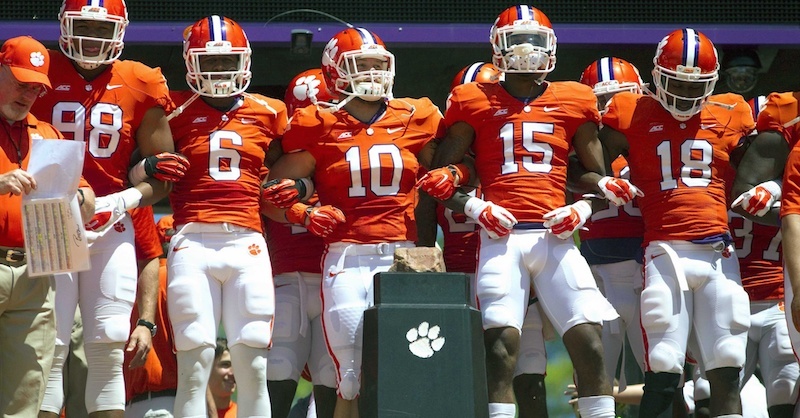 Behind Deshaun Watson, the Tigers have rolled. He is second on the team in rushing yards and leads the team with 11 rushing touchdowns. But he will need to rely on his arm as the Sooners have surely been preparing for his rushing abilities. The Oklahoma defense has been one of their biggest storylines in 2015. Last year Oklahoma ranked 118th in the country in passing yards allowed. They now rank 8th in interceptions and 20th in fumbles recovered. But despite their defensive improvements, conversation has revolved around Baker Mayfield, the Burlsworth walk-on player of the year award winner. Along with Samaje Perine and Joe Mixon, the Sooners have a three-headed rushing attack and support from star receiver Sterling Shepard. Balance on both sides of the ball has been the way to success for both teams. Does Oklahoma have an advantage in their need to avenge their 2014 blowout loss against the Tigers in the Russell Athletic Bowl? Or is playing for a spot in the National Championship motivation enough? Many had written Michigan State off when the Selection Committee released their final rankings. 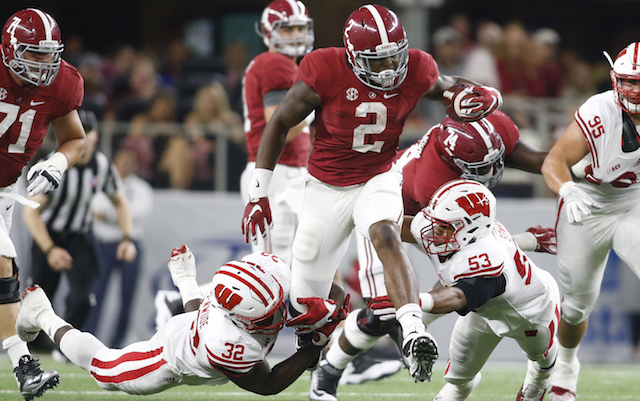 Alabama has looked like the best team of the season, and they have the best player in the country in Derrick Henry. But the Tide will need to have success with senior quarterback Jake Coker or the Spartans will be able to stuff the box and stop the run as they have all season (they rank seventh in rushing yards allowed per game). The Spartans made it to the playoff after a 22 play drive ended in a touchdown. Michigan State led the conference in turnovers and ensuring their offense has plenty of opportunities will be crucial as they go against the top ranked Crimson Tide defense. Notre Dame lost two games this season. Both were by two points. Both were on the last play of the game. The Irish were two plays away from an undefeated season and a spot in the playoffs. This is a team that has been defined by its resilience. Starting running back Tarean Folston was lost for the season in week 1. Starting QB Malik Zaire in Week 2. Cornerback KeiVarae Russell and one thousand yard rusher CJ Prosise went down. But as players get hurt, new ones step up and the Irish have been able to play impressive football thanks to Sophomore QB DeShone Kizer and star wide receiver Will Fuller. But Fuller will face a tough test against a talented Ohio State secondary. The Buckeyes have big names at plenty of positions. Braxton Miller has shined in his new role as a Z-back and his speed, receiving ability, and passing talents allow the team to have plenty of offensive options. Of course, that attack is headlined by Ezekiel Elliott who is a true workhorse, carrying the ball 23 times or more in seven different games. Only once has he rushed for less than hundred yards this season and he has multiple touchdowns in six games. Notre Dame linebacker Jaylon Smith, a Butkus Award finalist, will be looking to stop the potent Buckeyes offense. Stanford turned their season around in a hurry. After being kept out of the endzone and losing their season opener to Northwestern, most had written the Cardinal off early. But they proceeded to win their next eight and win late against Notre Dame to make it to the Pac-12 title game where they easily won against USC. Christian McCaffrey has been nothing short of sensational, placing second in the Heisman voting and breaking Barry Sanders’ all-purpose yards record. Iowa looked unstoppable before losing their first game against Michigan State in the BIG-10 championship. They have won all season long by playing tough and outlasting opponents. Though they have been criticized for a soft schedule, the Hawkeyes solidly beat the same Northwestern team that Stanford struggled against. Their defense has played stingy all season and they will need a similar performance to stop the Cardinal offense that puts up 436 yards per game. Ending the New Year’s Six is the Sugar Bowl, which provides another great matchup between the potent offenses of the BIG-12 and the punishing defenses of the SEC. Ole Miss’s defensive line will be slightly less punishing without Robert Nkemdiche. The only team to beat Alabama all season has a potent passing attack thanks to the strong arm of Chad Kelly (they rank 10th in passing yards per game) and we know they are capable of…bizarre plays (just ask the Crimson Tide’s secondary and Quincy Adeboyejo). Laquon Treadwell was a finalist for the Biletnikoff this year and Oklahoma State will need to play better pass defense against top receivers. 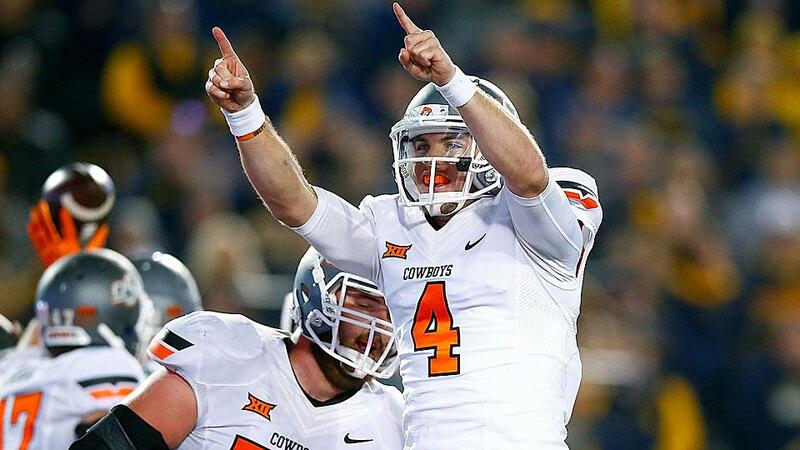 The Cowboys have yet to let us know if quarterback Mason Rudolph will play. He has played at a high level all season and the tandem package between him and JW Walsh creates interesting opportunities all over the field. Oklahoma State has its own receiving threat in sophomore James Washington and even more depth at the position than the Rebels. After winning their first 10, OK State lost its final two games and must be hungry for the taste of a victory. Their offense puts up the ninth most points per game, thanks in large part to an impressive 44% third down conversion rate. These are the games we’ve been waiting for. The ones that matter most. We should all resolve ourselves to watching each one, in its entirety. After all, there can be no better way to welcome a new year.